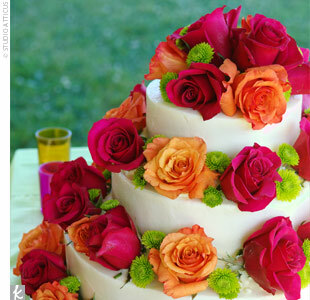 Just because you are planning to get married in June (i.e. a summer wedding), does not mean you have to be limited to beach wedding themes or garden wedding themes. 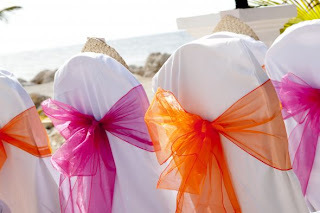 Summer weddings can be so much more than that! 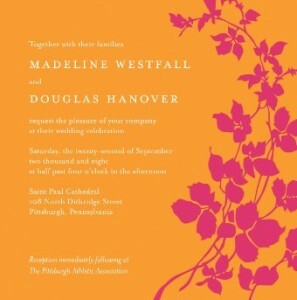 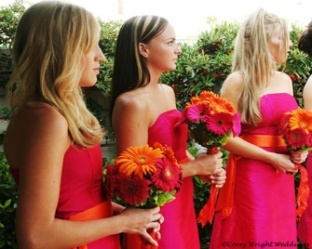 For the contemporary and daring bride, summer weddings can be a time for a gorgeous splash of complementary colors. 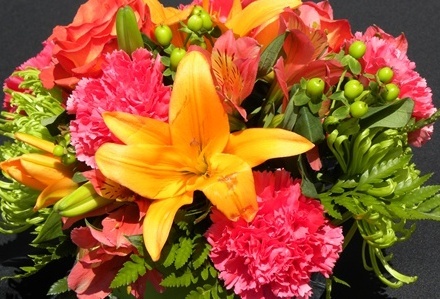 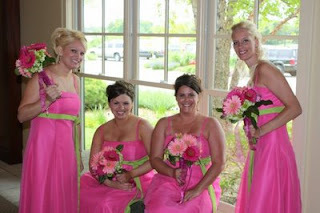 Some of the hot June wedding theme color trends for 2012 include the following color combinations: orange and fuchsia; chocolate and pink; aqua and chocolate; black against any bright color such as pink, white, or yellow; and green and hot pink. 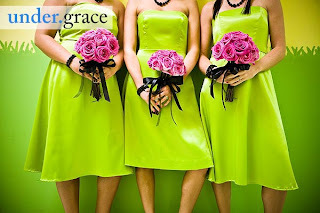 Below are some great wedding color themes for a June wedding to get started on your own wedding inspiration! 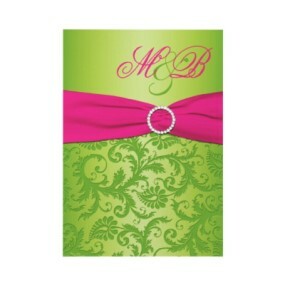 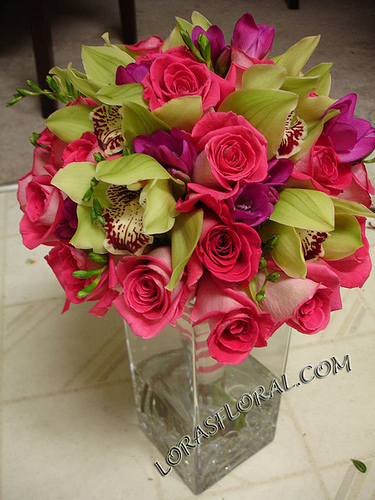 More June Wedding Color Ideas to be posted soon. Please bookmark the blog, and visit again soon!